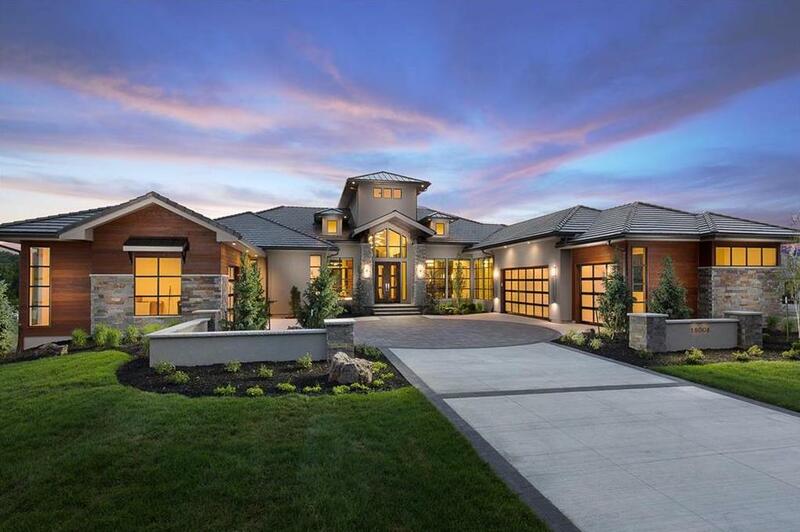 Overlooking a peaceful pond by the Tom Watson Signature Course, this 2018 Artisan Home Tour model is a modern masterpiece offers breathtaking views from every room of this reverse 1½-story home featuring four bedrooms, four full and three half-bathrooms, a 5-car garage and Starr Homes’ signature energy-efficient design. This 7,000+ square foot home with modern clean lines effortlessly flows from indoor to outdoor living spaces. 16008 St. Andrews Court (MLS #2127193) is a single family home located in Loch Lloyd, MO. This single family home is 7,031 sqft with 4 bedrooms and 5.5 baths. This property was listed on 08/28/2018 and has been priced for sale at $2,500,000. Listing Last updated 02/06/2019 2:19 PM CST . Some properties which appear for sale on this web site may subsequently have sold or may no longer be available. Walk Score provided by Walk Score. Mapping data provided by Google and Bing.